Argan Oil moisture repair shampoo is a gentle cleansing formula that moisturizes, nourishes, restores softness and shine and improves the overall health and appearance of hair. Our Argan Oil shampoo formula is enriched with omega 3, omega 9 and other unsaturated fatty acids. Argan Oil Shampoo is Sulfate, Phosphate and Paraben Free making safe for chemically, keratin and color treated hair. Helps repair damaged caused by chemicals, excessive heat styling, and environmental factors. Moroccan Argan Oil Moisture Repair Conditioner gently detangles and conditions hair while infusing it with Argan Oil, Keratin, and Omega 3 Fatty Acids. The conditioner helps repair and smooth the cuticle and helps improve the structure of the hair. This unique formula revitalizes and renews the overall health of the hair, leaving it silky, shiny and manageable. Infused with Argan Oil, Avocado Oil, Omega 3,6 and Amino Acids. Where does Argan Oil come from ? What is Argan Oil? Types of Argan Oil? Uses of Argan? There are two varieties of Argan Oil. Some is for culinary purposes and some is for cosmetic use. If the oil is to be used in cuisine, the kernels are roasted before grinding. This brings out the delicious nutty flavour in the oil. Roasted kernels produce a lot more oil than unroasted kernels. This is why culinary Argan Oil is less expensive than cosmetic. 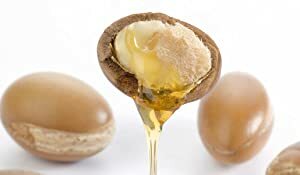 Argan Oil for cosmetic use is made from raw, unroasted pits. It too has a slightly nutty aroma when you first apply it. But that scent disappears within a few minutes. "In cosmetics, Argan oil is advocated as moisturizing oil, against acne vulgaris and flaking of the skin, as well as for 'nourishing' the hair. This oil has also medicinal uses against rheumatism and the healing of burns. 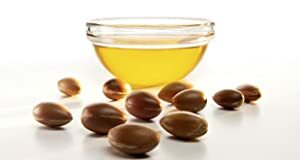 Externally, Argan oil is used for hair as brilliantine, to fortify and in the treatment of wrinkled or scaly dry skin. Rich in Vitamins, Minerals and Antioxidants. It has many uses helping hydrate, soften hair, face, body and nails. Naturally helps revitalize skin, increase hair's elasticity, restores shine, UV protector and Free radical neutralizer.